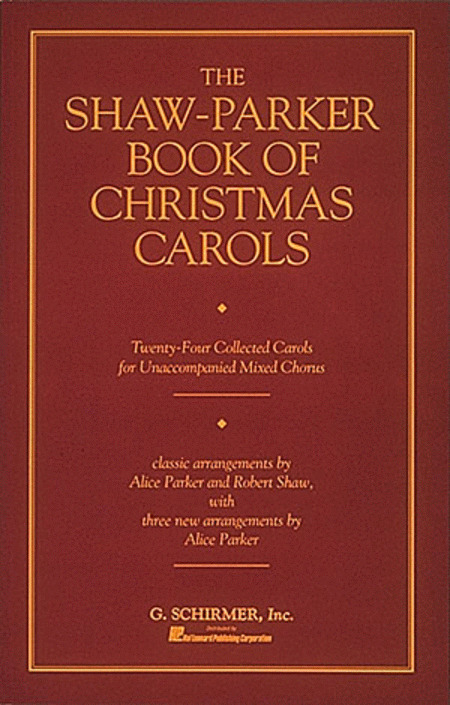 Twenty-four carols arranged by the eminent choral director Robert Shaw and the respected Alice Parker. Shaw-Parker arrangements are famous and recorded by everyone, including Shaw's various ensembles. Described as a mixed voice collection, these twenty-four carols have varying voicings, with frequent solo opportunities. There are also a few tenor/bass charts. Most have piano for rehearsal.